STORYTELLER and author Adam Bushnell brings together stories from the rugged coastlines, limestone cliffs, remote moorland, pastoral dales and settled coalfields of County Durham. In this treasure trove of tales you will meet the evil fairies of Weardale, the shape-changing witch from Easington, the Bishop Auckland boar, the Dun Cow from Durham City and many other characters - all as fantastical and powerful as the landscape they inhabit. 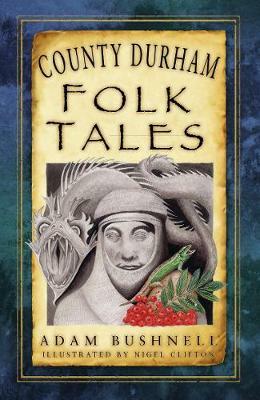 Retold in an engaging style, and richly illustrated with unique line drawings, these humorous, clever and enchanting folk tales are sure to be enjoyed and shared time and again.